Finally, it's Christmas Eve, and I am beyond excited. I thought as I got older, my excitement of Christmas would simmer down but apparently not. I seem to get more excited. 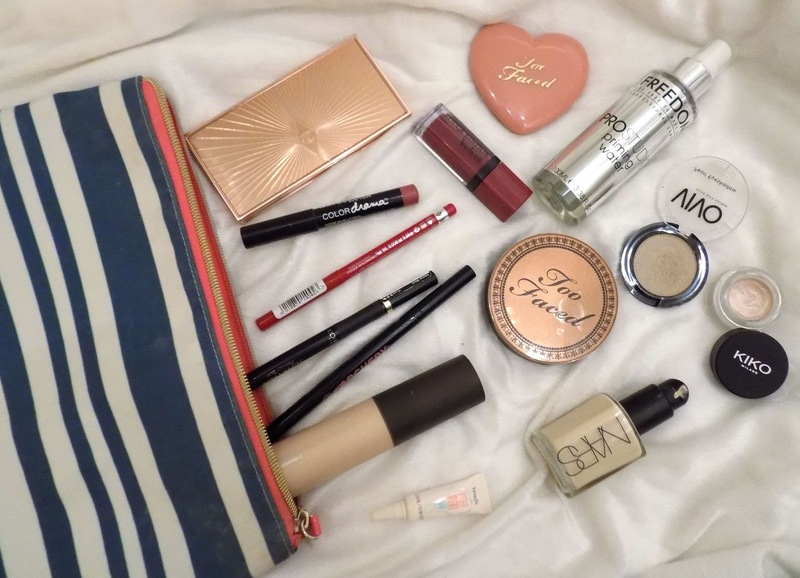 Anyway, today's post is all about my travel makeup bag, Christmas edition. I will be going between my boyfriends house, my family's houses as well as my own so I will be pretty much living out of a bag for the next few days. So here's what I will be taking. 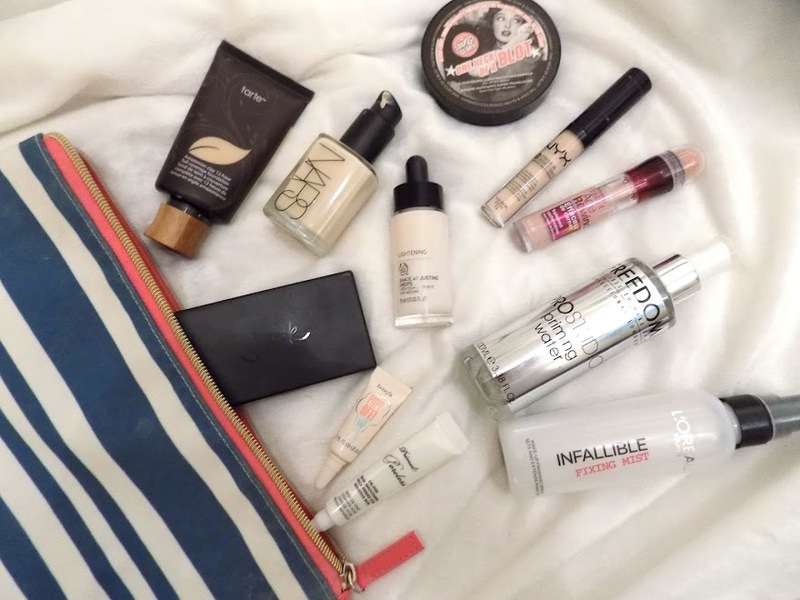 Starting off with the complexion, there's a mix of my current faves and some of my ultimate "oldies but goodies". Alright so starting with base, my absolute favourite primer this year (which you would have seen in yesterday's Top 5 Discoveries of 2015) the Too Faced Primed & Poreless Pure Primer, and then for around the eyes, the Benefit Puff Off is an incredible product for brightening, de puffing and generally priming the under eye area. To finish off my priming, the Freedom Priming Spray, which hydrates and creates a great base for foundation. Speaking of foundation, my current foundation combo is the NARS Sheer Glow mixed with the Tarte Amazonian Clay Full Coverage Foundation, if I am having a particularly pale day then I add one or two drops of the The Body Shop Lightening Drops. My concealer duo hasn't changed for the past few months. the Maybelline Anti Age Rewind Brightening Concealer for correcting, and NYX HD Concealer to conceal and brighten. For any blemishes (because I love a flawless complexion, especially when cameras are around) so the Sleek Correct & Conceal Palette. 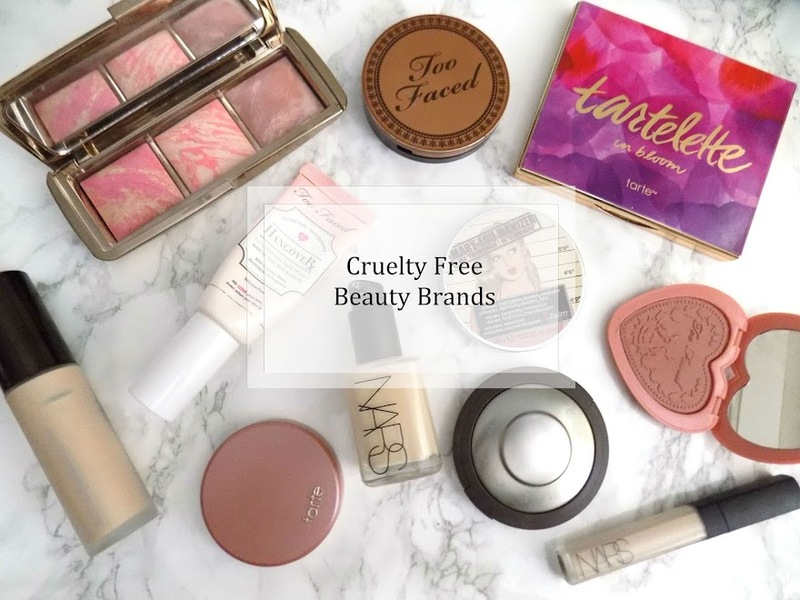 To set this in place I use the Soap & Glory One Heck of a Blot Powder for under the eyes and then the L'Oreal Infalliable Setting Spray to lock everything in to place and get rid of any cakey, powdery look. As for the cheeks, the Becca Shimmering Skin Perfector Liquid Illuminator deserves 100% to be in my makeup bag for the festive season. The glow is just out of this world. Because it's winter, I have been applying a few layers of the Too Faced Milk Chocolate Soleil Bronzer, and this goes great with the Charlotte Tilbury Filmstar Bronze & Glow which has the best contour powder and the most beautiful powder highlight which is great for the festivities. 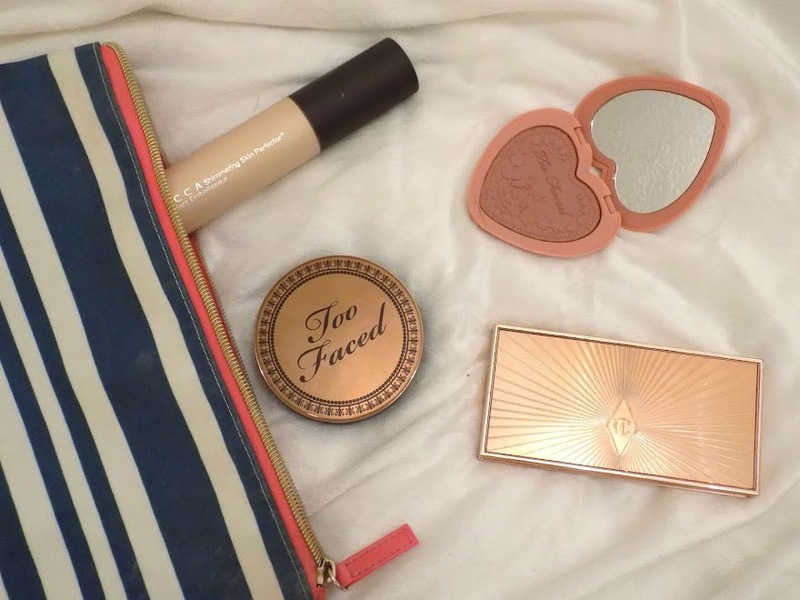 Then another from Too Faced, the Love Flush Blush in Baby Love which is the most beautiful pairing with the contour and eye look. Speaking of the eye look, I have been wearing this for about a week or so and I just love it. I start with the Soap & Glory It's About Prime Eye Primer, then I apply the Kiko Cream Shadow in 01 as a shimmery base. Over that, I dust a good layer of the VIVO Eyeshadow in Pale Gold which is the most perfect tone of gold, with the right amount of champagne to it too. Love this shadow and I always rediscover it every few months and fall in love with it again. Alright, once the lid shade is on, I go in with Jetsetter and Smarty Pants from the Tarte Tartelette In Bloom Palette through the crease, then Rebel and Leader in the outer corner, top lash line, bottom lash line and through the crease. I love this shade, I love how it looks, how it blends out, and how it makes any look perfect for a party or occassion, like Christmas. I can't wait for tomorrow. Sorry, off topic. Alright so I love the L'Oreal Super Slim Liquid Liner to create a small wing and a thin line across the outer half of my eye. The Too Faced Perfect Liner is still my fave black kohl liner for the top and bottom waterline. Finally, to finish it all off, the Clinique High Impact Mascara is my current go to. Okay for the lips, I may be slightly more prepared for any kind of dilemma or occassion that may arise, but I've pretty much packed all my faves so whatever mood I am in, I have a lip product for. 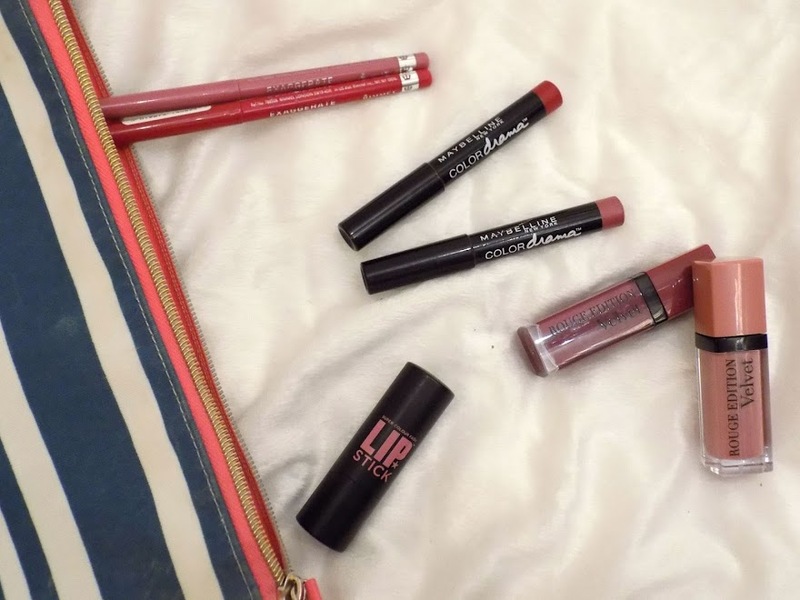 Let's do a quick run down, first the Rimmel Exaggerate Lip Liners in East End Snob and Red Diva, then the Soap & Glory Matte Lipstick in Blush Pink, Maybelline Color Dramas in Keep It Classy and Red Essential, and then finally Bourjois Rouge Edition Velvets in Plum Plum Baby and Don't Pink Of It. 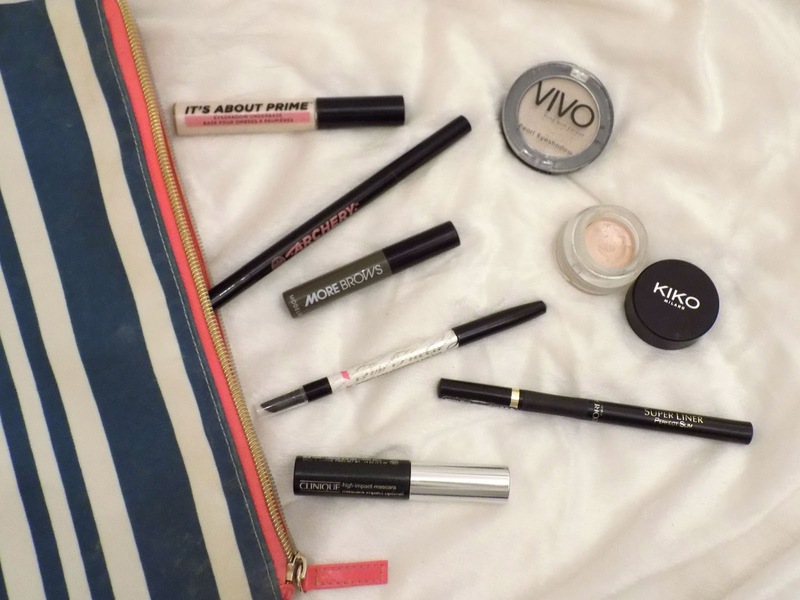 That's it, there's everything I have in my makeup travel bag for the festive season. I hope you all have a great Christmas and I would love to see what you got and what you did Christmas day. Are you staying at home this Christmas or travelling?